Ask anyone who’s recently sold a home about their experience with the traditional real estate sales process, and there’s a 99% chance you’ll hear a horror story. We’re on a mission to change that. Jovio was founded with a simple idea: modernize the way homes are marketed and sold. We want sellers to feel empowered and in control throughout the whole process, so we aim to deliver a pressure-free selling experience that leaves you with more money in your pocket at the end of the sale. Buying a home is likely the biggest investment you’ll ever make. So when you go to sell it, the process should be efficient, hassle-free, and leave you with some warm, fuzzy feelings of accomplishment. Technology can reduce friction and costs when selling a property, leading to a superior experience. 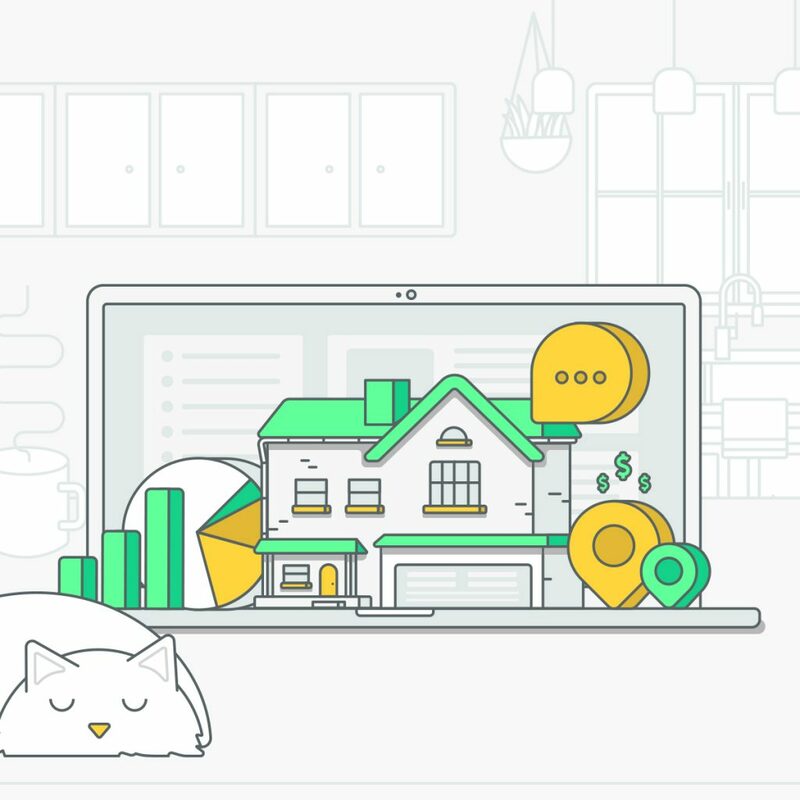 Jovio uses an interactive AI-driven interface to deliver homeowners a free report within 24 hours that shows them what their home is worth. That’s just at the very beginning—thanks to the data models we’re developing, we provide actionable insights to stakeholders at each stage of the transaction. You’ll feel more informed and more relaxed knowing the process is moving along smoothly. Real estate is a team sport. We need marketers, economists, interior designers, neighborhood experts, and communicators to all collaborate on home sales with the mindset of playing together on a winning team, rather than just having one “generalist” independent contractor running toward the end zone. To help facilitate this, we’re building communities that bring together these different stakeholders within real estate transactions and empower each other. Think of Jovio as your biggest cheerleader. We believe sellers should be empowered and equipped with tools to play a more active role in the sale of their home. After all, nobody knows your home better than you. You know prospective buyers will love that the best ice cream shop in town is within walking distance, a top-rated elementary school is a few streets over, and that your kitchen remodel was once featured in Domino—all things you should definitely advertise to attract buyers. With traditional real estate commission fees, sellers hand over a whopping 6% of their sale at closing—and it doesn’t matter if the agent spent 3 hours or 100 hours selling the property. At Jovio, we are committed to you, not high commissions. That's why we charge a low listing fee of only 1% plus a $495 setup fee–both due at closing. We believe you should keep more money in your pocket and sell your home without sacrificing service. Read more about the innovative features that have homeowners putting out the welcome mat for our new home-selling platform. Ready to dig in? Learn about our Home Selling Program for Texas Homeowners.